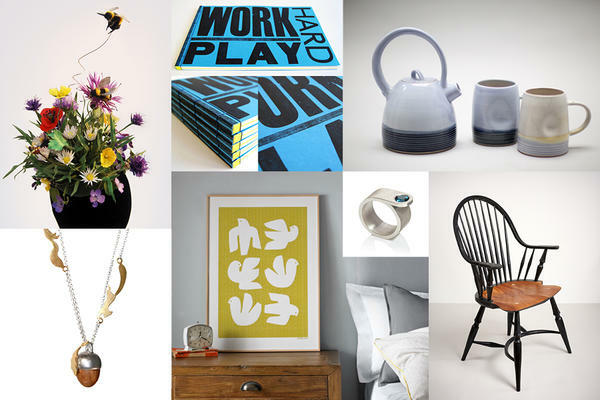 A weekend bursting with creativity! 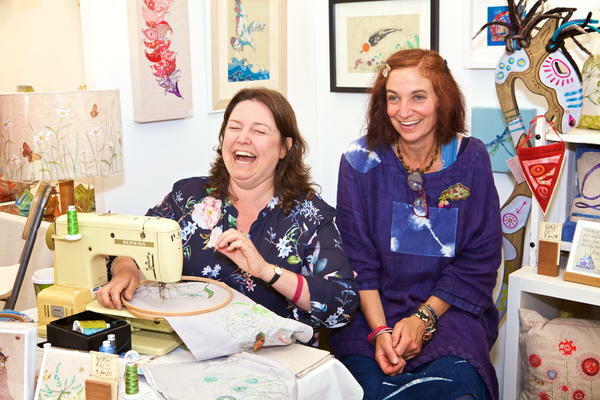 Get hands-on with drop-in workshops and classes, see live demos, buy unique crafted items, meet the makers and see the work of emerging artists. The College continues to inspire generations of artists, makers, designers and writers through the legacy of founder, artist and Surrealist patron Edward James. 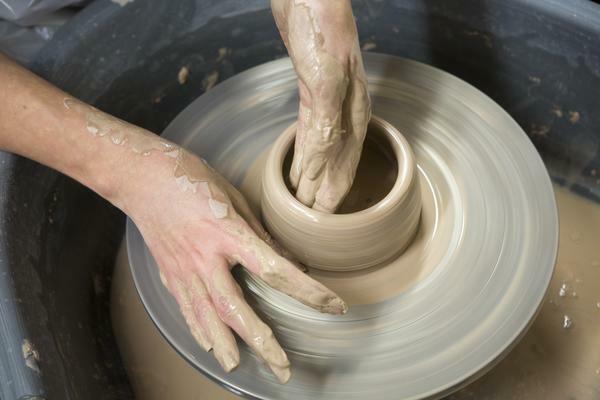 Say 'I made that' and try your hand at a new skill under the guidance of one of our expert tutors. 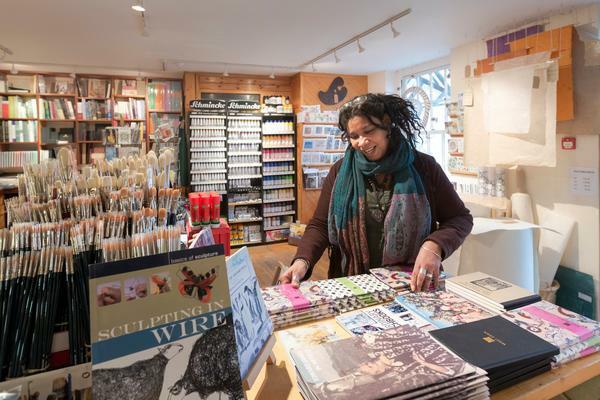 With nearly 1000 workshop places on offer throughout the weekend, choose from painting, pottery, printmaking and many more, and discover a new passion. 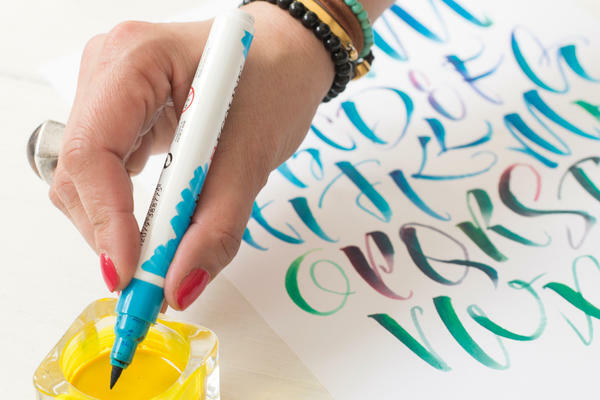 New workshops for 2019 include Modern brush calligraphy with Kirsten Burke, Satirical cartooning with Private Eye cartoonist, Guy Venables, and Automata with Stephen Guy. 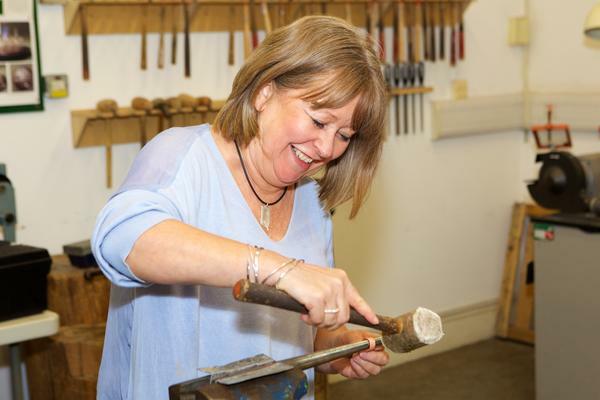 All workshops are 1.5 hours long and all materials are included in the workshop price. 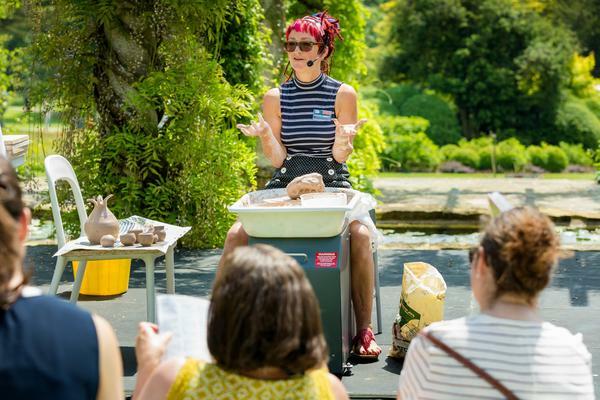 View the hands-on workshops timetable and the children's workshops timetable. 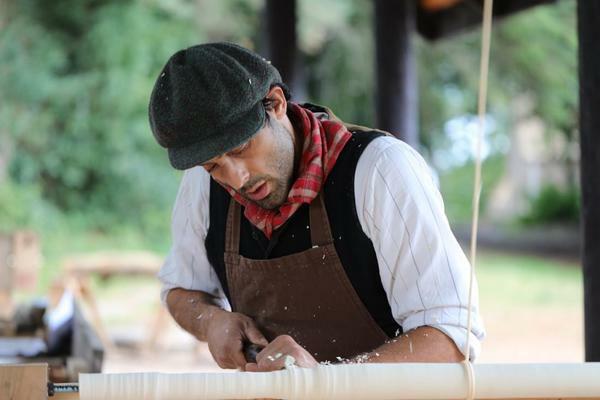 Chat to a variety of skilled craftspeople about their work and techniques and buy their handmade creations. 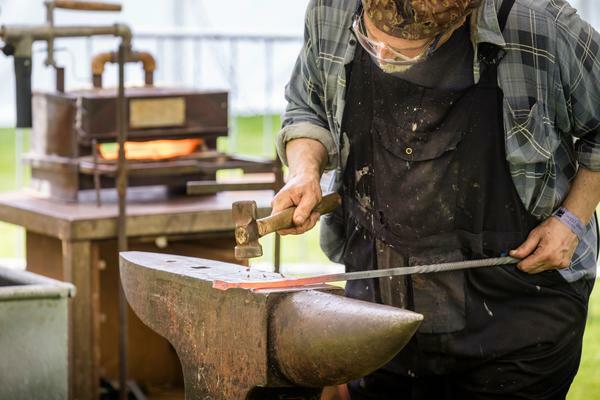 Watch and enjoy demonstrations in blacksmithing, pottery, jewellery making, printmaking, woodworking and more. 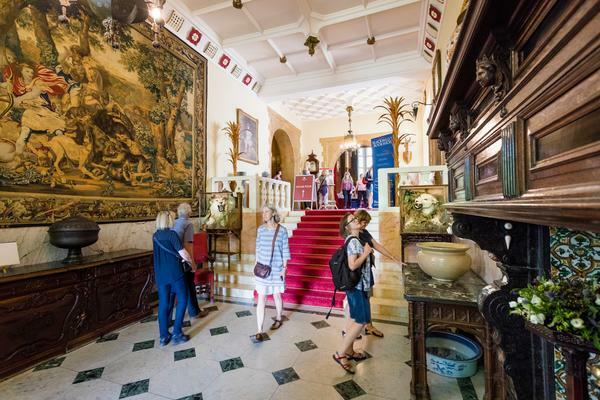 Follow a self-guided route through the Edwardian house and take in the historic State Rooms, only open to visitors once a year, to discover the secrets of the Edward James Archive and Collection. The iconic Lobster Telephone, a collaboration between Salvador Dalí and Edward James will be back on display after travelling to exhibitions across the globe, alongside another Surrealist icon, the famous Mae West Lips Sofa. 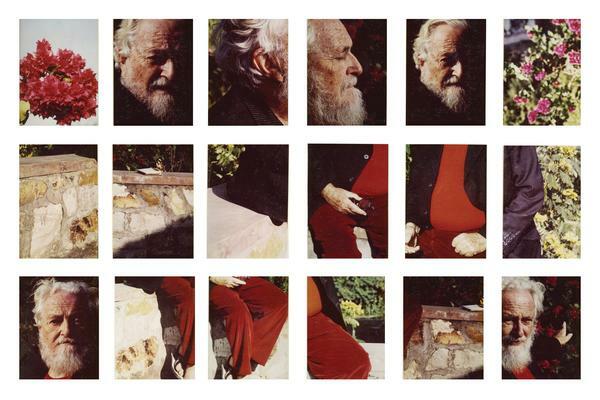 Edward James (1907 - 1984), a poet and collector of art, is remembered as "… the greatest English patron of art of the early 20th Century" BBC Arts Online. Particularly for his patronage of the Surrealists. 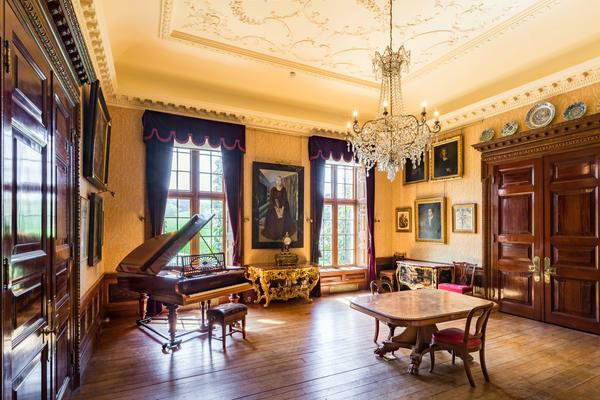 Salvador Dalí, Pavel Tchelitchew, Rene Magritte and others were given studio space at Edward's homes at West Dean and London. He supported them through commissions and collaborations, building one of the finest collections of Surrealist art in the world. 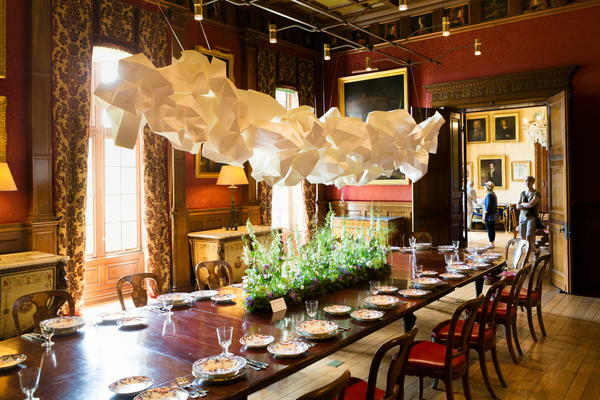 Inside the House, you will also find exhibitions of work by students, including art installations inspired by James' legacy and the collection, current conservation projects, live music performance in the Oak Hall and readings from Creative Writing students. 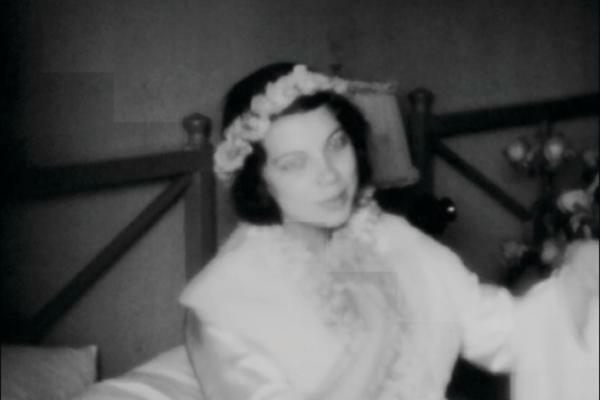 Watch the first public screening of Hawaiian Honeymoon, shot by Edward James and Tilly Losch on their honeymoon in 1931. To mark the first public screening of this 35-minute film, West Dean's composer-in-residence, Mary Hampton, has written a new soundtrack, which will premiere with the film. Children will enjoy spotting the lobsters hidden throughout the State Rooms. Please note: last entry to the house is 4.15pm. 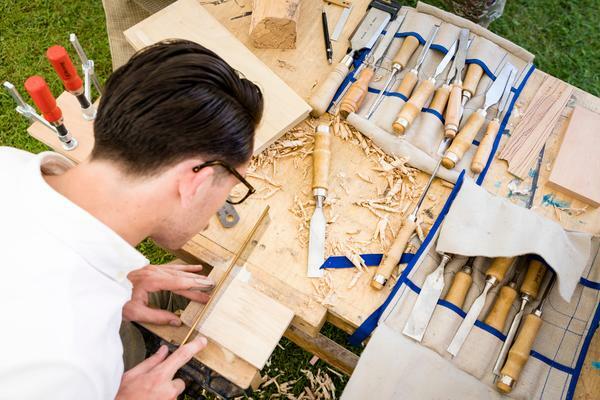 Get hands-on with a variety of crafts in the summerhouses throughout the award-winning gardens. 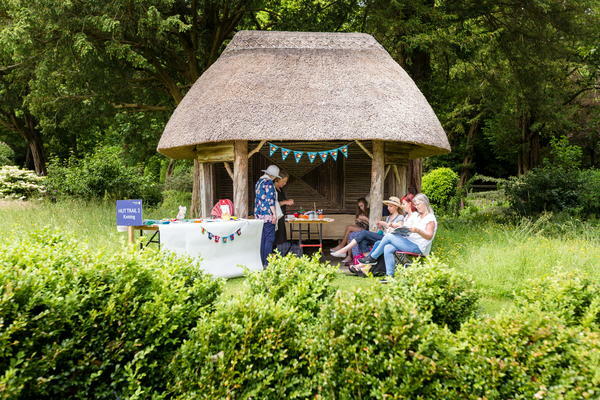 New for this year pick up a pencil or a paintbrush and try your hand at drop-in drawing and painting on an easel overlooking the surrounding parkland. 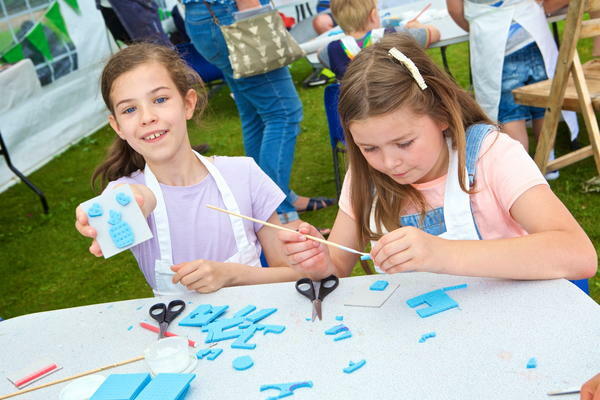 Simply walk over and join in, all drop-in crafts are free to take part in. 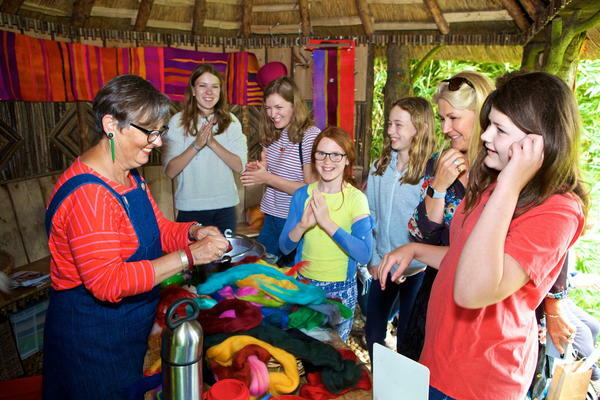 Plus have-a-go at tapestry weaving on scaffold poles and make your mark on our collaborative tapestry with West Dean Tapestry Studio Master Weaver Philip Sanderson. 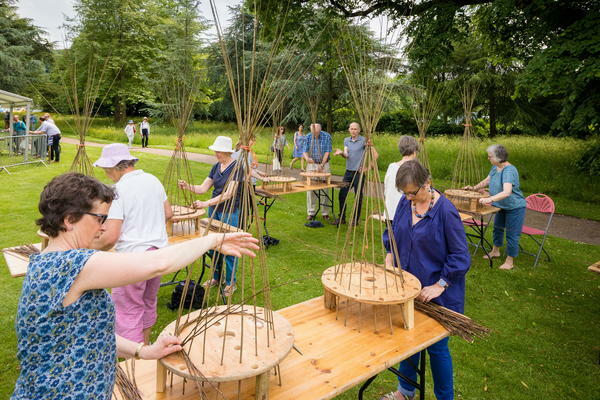 Join artist and sculpture Dan Lobb, who has exhibited at Hampton Court Flower Show and featured on Gardeners World, to contribute to a river-powered kinetic art installation using leaves and twigs. 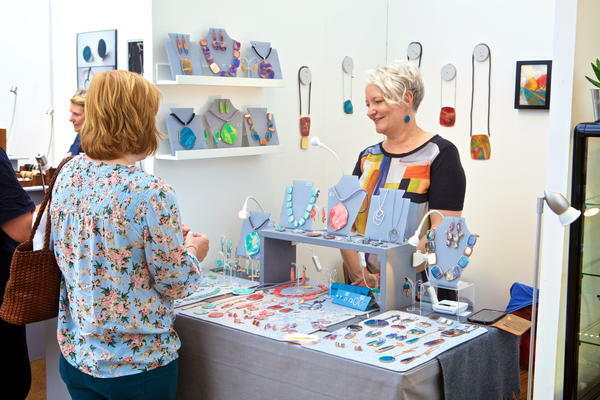 You can also try origami jewellery with Renata Mayumi, embroidery with Emily Peacock, beaded jewellery with Marilyn Phipps, renowned for her use of vibrant colour, and rag-rugging with Debbie Siniska who has worked as a textile artist for over 25 years, using traditional hand tools and recycled textiles. 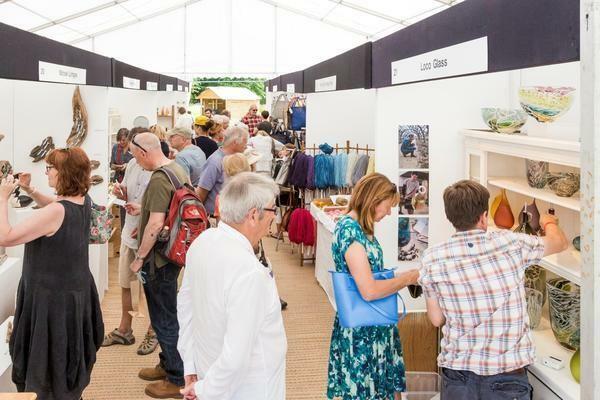 Find out more about the quality arts and crafts from handpicked makers and designers that you'll be able to look at or buy at this year's Festival. 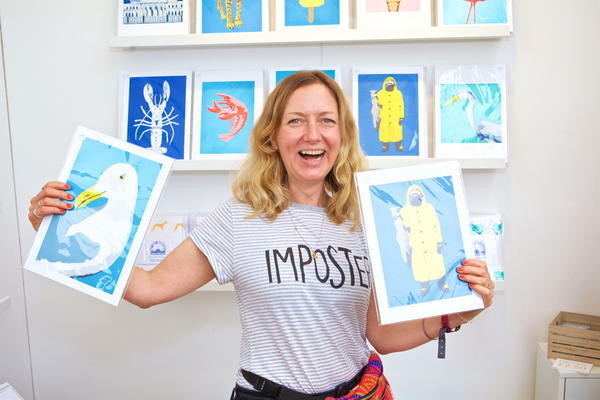 You will find one-off artworks and homeware items to furnish your living space, individual jewellery and clothing to suit your style and plenty of unique gift ideas. Students from the College's School of Arts present a number of artworks inspired by the life and work of Edward James. 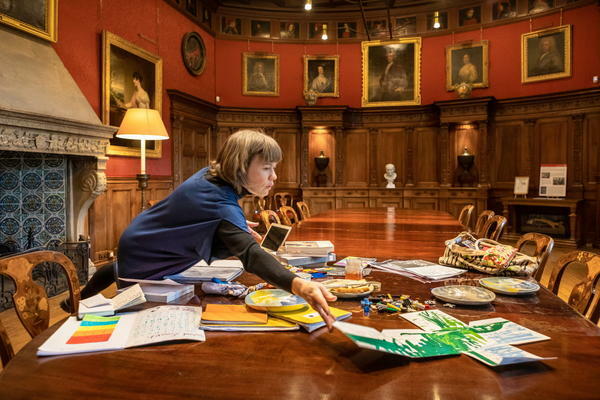 Including A Perfect Kind of Order by Diploma in Art and Contemporary Crafts student Katharine Rabson Stark, pictured right planning her installation, which will use the dining table to contest the notion of the self-contained, studio-based artist, disrupting the grandeur of the Edwardian set-dining table to show the reality of how twenty-first century women and mothers work as artists. In the Music Room, Philippa Clarke (Graduate Diploma Visual Arts) will create Pastoral I and II using the deconstructed keys and hammers from an old piano, together with a graphic score created using the Surrealist technique of frottage, the work soundlessly echoes the surrounding landscape. Each day at 11am, there will also be Flash Fiction readings from MA Creative Writing and Publishing students using the main character from their developing novels. Conservation and Making students present a glimpse into the various approaches to conservation and making, demonstrating the exciting challenges of working with historic objects and craft practices. 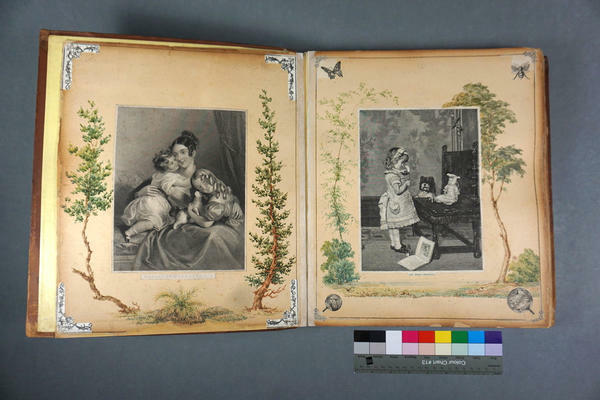 Edward James: Record of a Journey explores Edward James as an internationalist. From his education in England and Switzerland, his travels across Europe, North and South America, India and Nepal. Curated by placement students from the University of Sussex the exhibition proposes that James saw beyond national, political, cultural and racial boundaries in the interest of promoting creativity, supporting education, and engendering peace. Outside the house, see Opposing Faces, a large outdoor sculpture by MFA student Emma Rimer, inspired by Edward James' undated poem 'Dodechahedron'. As you walk around this large dodecahedron, each pentagonal face captures an image of the landscape, combining views like frames in a strip of film. 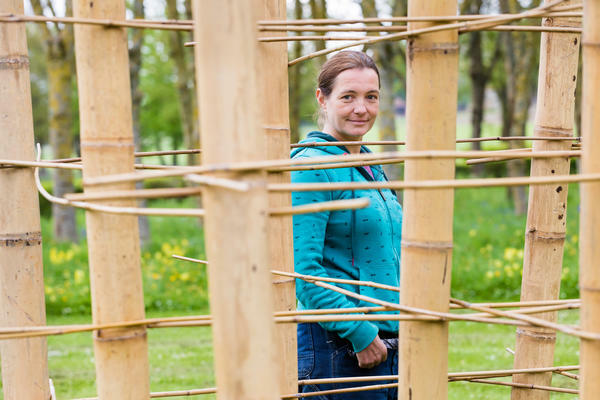 In the orchard discover Apple Weave by Graduate Diploma Visual Arts student Ruth Glasheen. 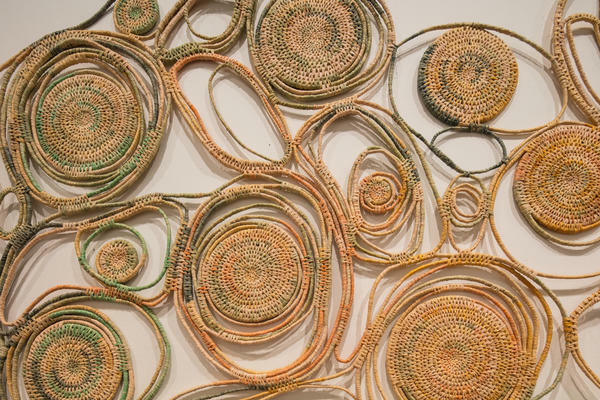 It uses a variety of traditional and contemporary basketry, weave and tapestry techniques to contemplate the particularities of place, both in detail and in relation to the wider landscape. 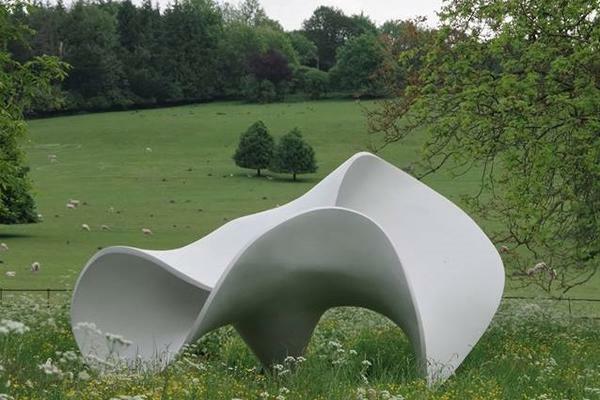 See sculptures around the Gardens by artist Eilís O'Connell, in partnership with CASS Sculpture Foundation. 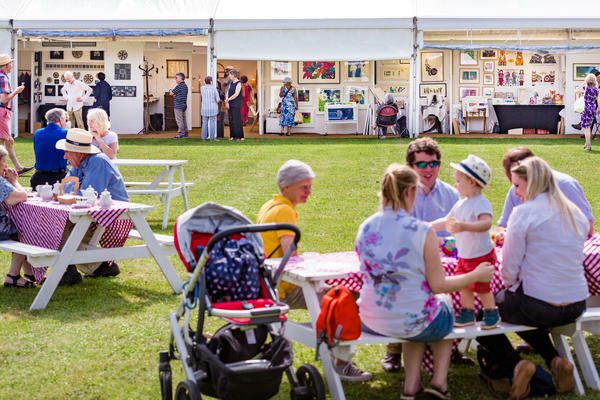 Be the first to hear about West Dean Arts and Craft Festival news and exhibitors. West Dean College is located on the A286 just 6 miles north of Chichester and 60 miles south of London. 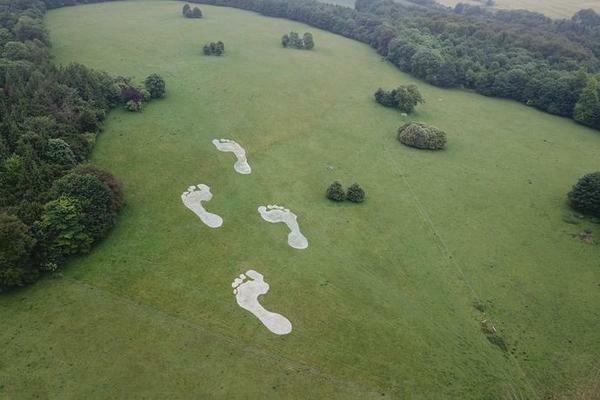 By car: Please use postcode PO18 0RX and follow the signs to the event car park, parking is free. By train: The nearest train station is Chichester, with direct services from London Victoria. Connecting buses (Stagecoach number 60) are available from the bus station next to the train station. Alternatively, there is a taxi rank outside. It is just a 10-15 minute journey from the station. 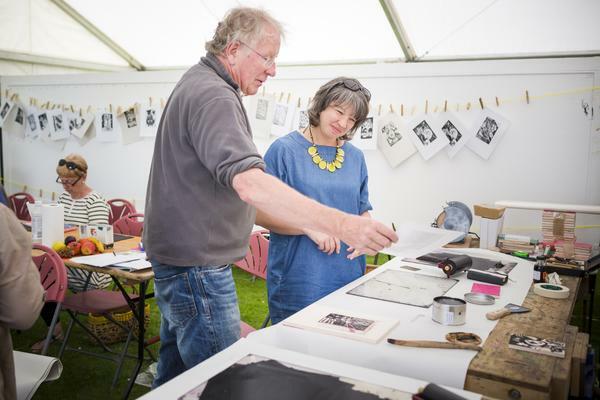 With thanks to Schmincke and Khadi Papers for supporting the West Dean Arts and Craft Festival.